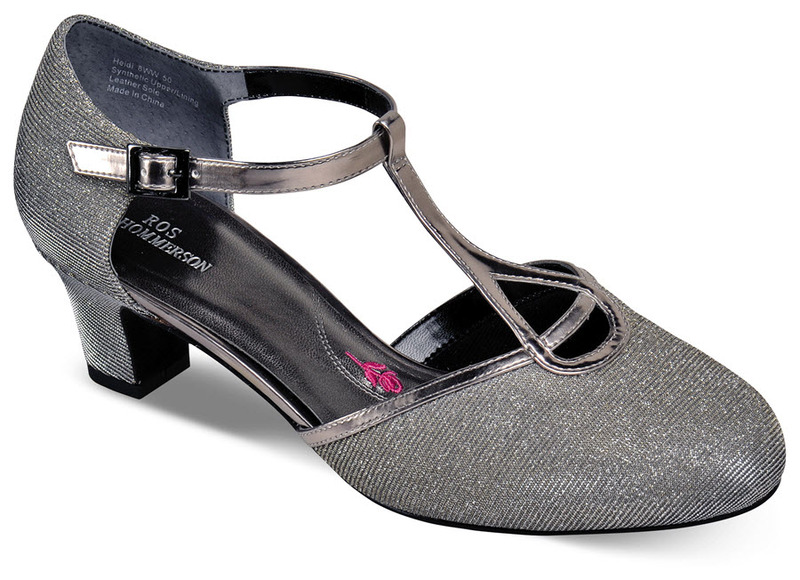 Put some sparkle in your evening with the silver glitter version of the Ros Hommerson "Heidi" T-strap dress pump. Sparkling fabric uppers have shining straps with elasticized buckle fastening. 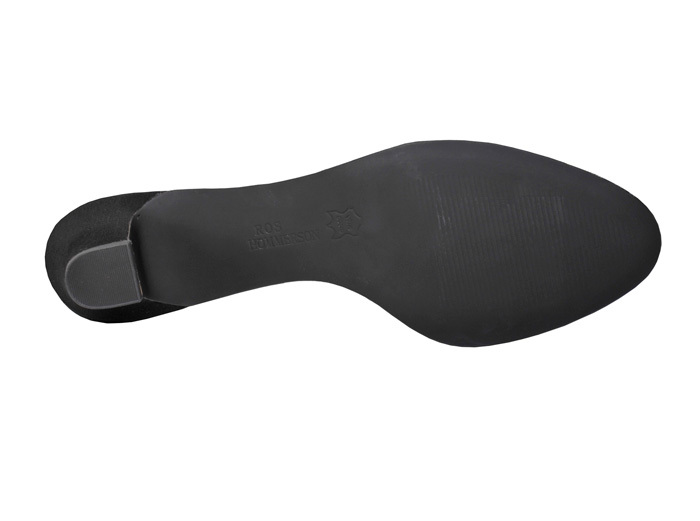 Toe-to-heel Memory Foam footbed offers cushiony comfort. Two inches of heel height. Women's sizes 6–12, 13 in 2E width.